Shakespeare As You'll Like It by Joel Engel - Doug Grad Literary Agency, Inc.
Parents, go into to your child’s room, say the word “Shakespeare,” and see what happens. That hallowed name—the revered Bard of Stratford-on-Avon—may be the scariest word in the horror movie playing through the minds of school children forced to read King Lear in English class. Shakespeare-phobia in America is no doubt due to the fact that the way his plays are taught is all wrong; the plays were simply never intended to be read! 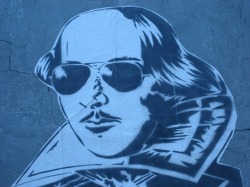 His greatest quotes, like “To be or not to be, that is the question” mean so much more when you understand what the heck is going on in the story. And how can you understand anything when you keep falling asleep face-first into your Cliff Notes? Or while wading through footnote after footnote to try to understand Elizabethan English? Fear not, parents of Shakespeare-phobes, help is here. In Shakespeare As You’ll Like It: Stop Reading His Plays and Learn to Love The Bard: A Twelve-Night Plan by Joel Engel, your kid will be able to enjoy Shakespeare for the first time by actually reading the stories of the plays—a modern language dramatic retelling of Shakespeare’s plays in story form. Middle-schoolers raised on Harry Potter and C.S. Lewis and Tolkein will love these tales of kings and princes, wood nymphs and fairies, of love and treachery. The last time a book like this was written was in the early 1800s, and it was a huge bestseller. Now that two hundred years have passed, it’s time for a new version in modern day English—a Dangerous Book for Boys for the literary-minded. Imagine reading of thrilling battles, passionate romances, hilarious comedies, and actually loving them. And imagine passing on the love of these classic tales to your children. Joel Engel is envisioning three books—each containing twelve plays—with each volume including a selection of comedies, tragedies, and histories within.